Books eBooks Shirts Sweatshirts Hats Stickers Coaching Misc. How Would Your Thru-Hike Have Been Different Without Your Son? Since completing our thru-hike, I have often been asked what the thru-hike would have been like without my son tagging along. The first—and most accurate answer—is that there would not have been a hike without him. Not for another 20 years, at least, if ever. Secondly, to say he was “tagging along” with me implies that he was a passive follower. I imagine him in people’s mind’s eyes shuffling 20 yards behind, staring at his feet, and kicking the occasional rock in absent frustration. This could not be further from the truth. My son is a thru-hiker in every respect. He was an active and engaged participant. A consummate partner and proactive venturer. Now that the truth be told, I can allow for the fantasy of hiking alone, and how that experience would have differed from the adventure my boy and I shared. I will admit, there were times on the trail, when I watched a solo thru-hiker whisk by us on a climb, or pack up early and leave camp before dawn, that made me green with envy. There were times along the trail, when we skipped a viewpoint or a quick dip in a swimming hole, because I knew we would not be able to make up the time in the hiking. There are times now at home, when I fantasize about a future thru-hike and how I could justify to the family that I go it alone. My Appalachian Trail experience is probably one of a minority of thru-hike experiences. I did not hike one length of my thru-hike alone. I was never out of eye or ear shot from my hiking partner—one of the stipulations my wife made for hiking with our teenage son. Any parent can attest that you are always “on” when with your children, always aware—and that is at home, in town. On the trail, your parental awareness heightens and intensifies—it becomes instinctive and primal. Parenting requires equal measure of love, support, nurturing, guidance, and discipline. The trail requires constant attention and respect. One false step or foolish hop, poor hygiene, loneliness, home sickness, or bad luck can end a thru-hike as soon as it starts. I can think of a roster of thru-hikers who were waylaid from their goals due to any combination of stupidity and/or serendipity. Three miles from the top of Springer Mountain, my son turned his ankle. While we triaged the severity of the injury, 20 years of dreaming, a year’s worth of planning, and thousands of dollars of investment seemed all for naught. By his fifth turned ankle at mile 99, I was livid when I discovered he had failed to tie his boots properly… again. I could easily list the daily frustrations of thru-hiking with my son. However, of all of the challenges of hiking with a teenager, the most frustrating thing for me was that boy needed incentives to reach big goals. The promise of a soda, hot meal, or if I could swing it, a motel room, were just a few of the carrots I had to dangle in front of his nose to get in those few extra miles. Would a 100-Day Thru-Hike Have Been Possible? As I reflect, I am reluctant to write a litany of pet peeves that I harbored against my hiking partner, as it would belittle his efforts and accomplishments. I am sure it would mirror the same criticisms anyone would hold against a hiking partner of any age. Rather, I will say that I would have finished the trail in less time if I had hiked alone. I would have hiked farther each day, and perhaps faster, though we were hiking a good clip by the time we left Virginia. I say this with relative confidence, as I remember having to bargain for longer days, and often found myself frustrated when my son’s energy waned and forced us to slow or stop each day. I was not adverse to night hiking, but the boy’s inexperience and overactive imagination made the few times we hiked into the night slow and stressful. I would have been out of camp earlier each morning and camp chores would have been more streamlined. I would have carried less gear, less food, less extra water, less medicine, and fewer emergency supplies. Every interaction between us was a teaching moment, one of learning and discovery. By itself, teaching is exhausting, add to that thru-hiking and you can imagine my fatigue. 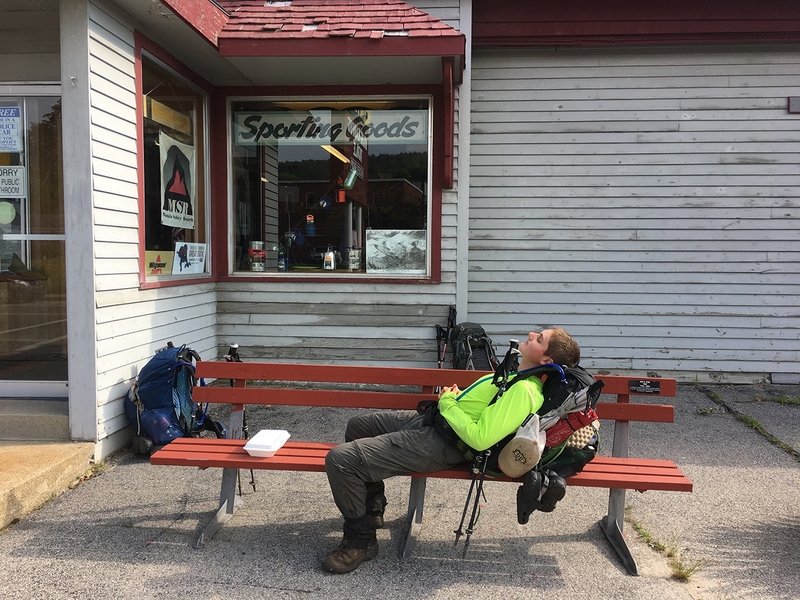 Before we started, and on good days during, I had illusions of a 100-day thru-hike. At 133 days, we still booked it, but alone… maybe 100 would have been possible. …Assuming I Would Finish at All? Even with my constant companion, there were times when the trail was unbearably lonely. I was often homesick for my wife and other children. Having my son to share our thru-hike with made those times less difficult. And while I claim that I would have hiked faster alone, that assumes that my loneliness would not have ended my thru-hike prematurely. There were two occasions where I suffered from hypothermia. It was my son who identified my condition and performed first aid. It was he who reminded me to wash my hands and avoid sharing food and other items with fellow hikers to avoid illness. He helped perform first aid when I fell and broke a rib. He even carried gear from my pack when I was struggling some days. These were all events that could have ended a solo thru-hike. 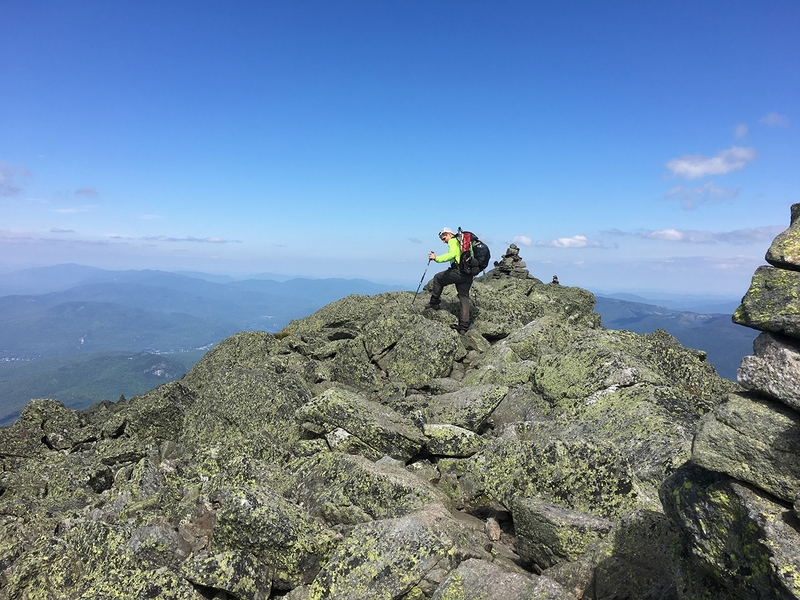 Again, my son is a thru-hiker and I am proud to have shared the experience with him, but between you and me, I am certain he wished he had hiked the AT without his Dad tagging along. This website contains affiliate links, which means The Trek may receive a percentage of any product or service you purchase using the links in the articles or advertisements. The buyer pays the same price as they would otherwise, and your purchase helps to support The Trek's ongoing goal to serve you quality backpacking advice and information. Thanks for your support! To learn more, please visit the About This Site page. 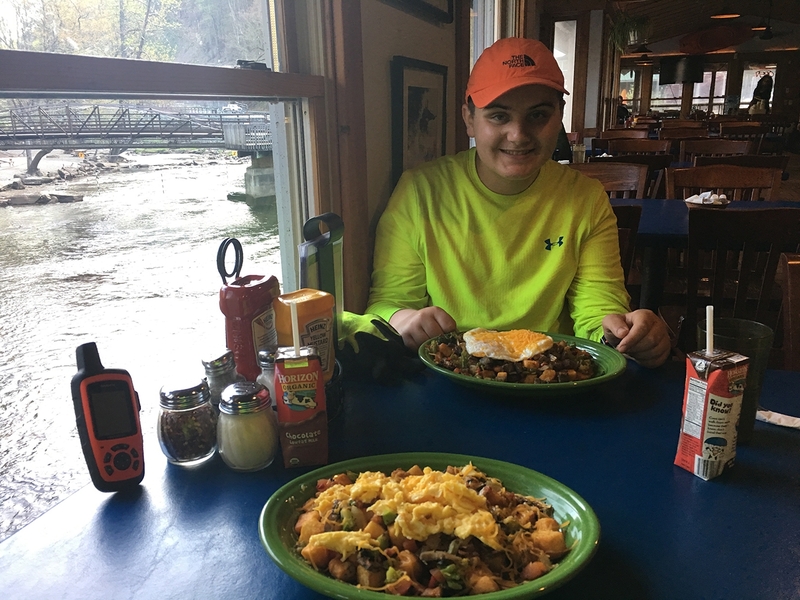 Spring(er) Fever Sweet 16: What Are the Best Restaurants on the Appalachian Trail? 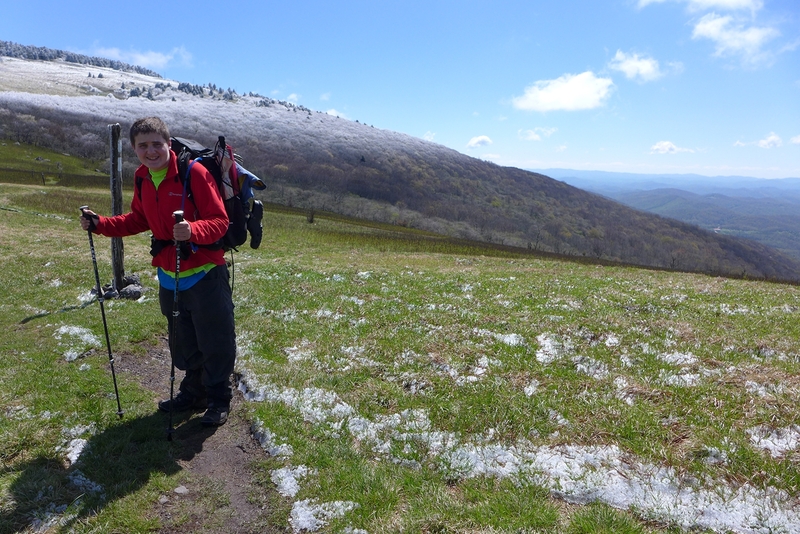 Scott is a life-long hiker, who in 2017 completed his first Appalachian Trail Thru-hike with his 14 year-old son. Being led by his 17 year-old daughter, he is currently an aspiring Adirondack 46er. He is always happy to talk hiking, or anything for that matter, with anyone who'll spare the time. Thanks for sharing the post. I am thru hiking with my three boys next summer. We have one hundred days to complete but are getting some sections done now so hopefully we can finish. All that to say, your article was a good reminder to prioritize what’s important – and speed is not the priority. When I told my youngest daughter I was planning an AT hike she invited herself along. I could have said no. I could have put my foot down and said, “There is no way on God’s green Earth are you going with me.” I could have. How would I have any stories to tell her if she went a long? Yeah, I could tell her no. © 2019 Copyright The Trek.